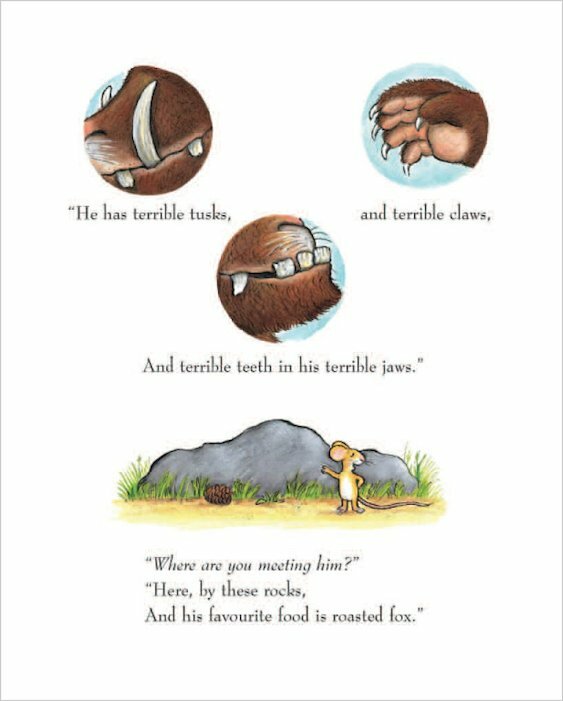 He has terrible tusks and terrible claws, and terrible teeth in his terrible jaws! 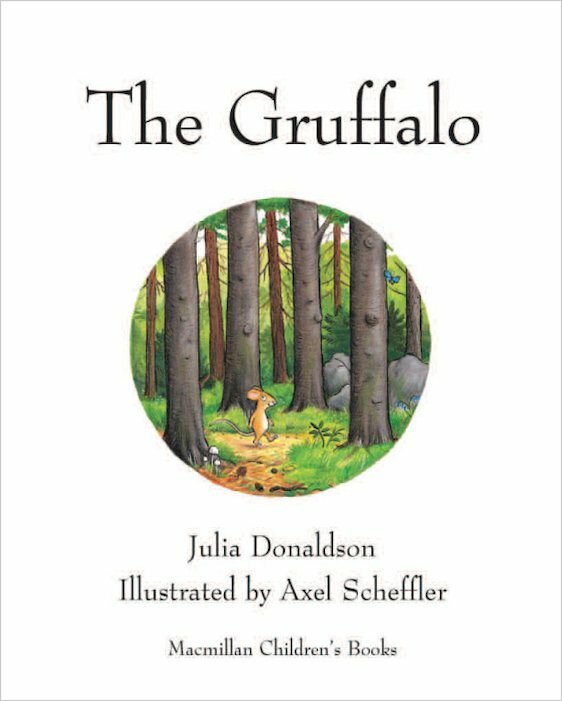 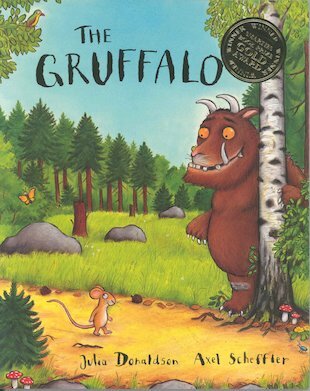 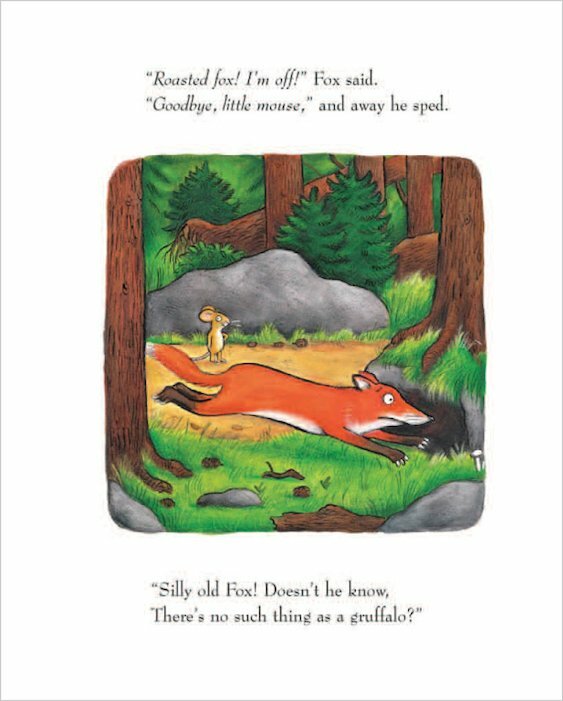 Luckily, the fearsome Gruffalo doesn’t really exist – does he? 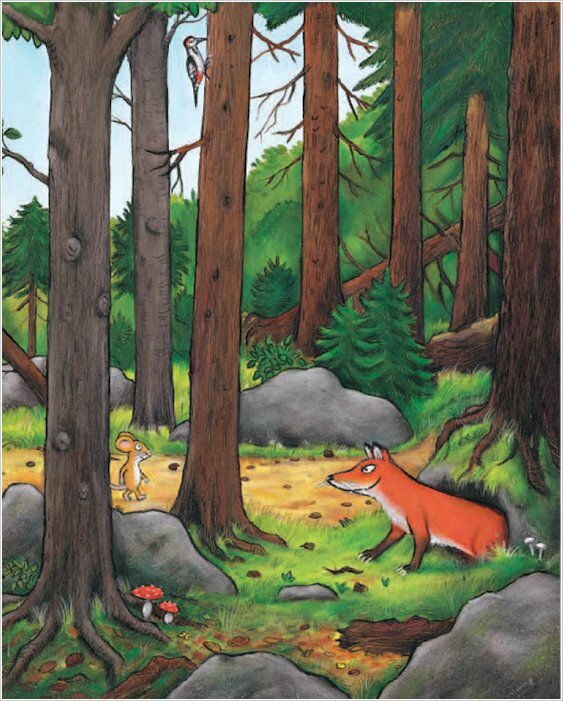 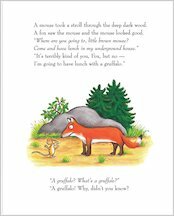 This wonderful rhyming tale shines with imagination. 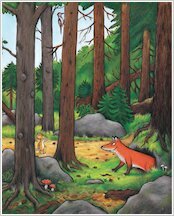 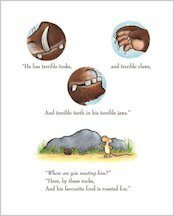 As a fast-talking little mouse triumphs over the big bad Gruffalo, the power of words and stories comes to shimmering life. 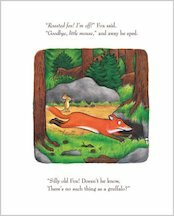 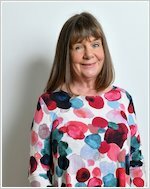 Read it, listen to the story CD – and act, laugh and sing along!